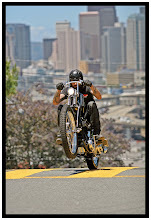 When I say ”External” I mean external as in; outside of the chopper motorcycle industry and culture. If you can’t learn to find inspiration for building fast, functioning attack choppers in places OTHER than a bike magazine or the bike sites then you are really missing out on a lot of amazing things going on out there. 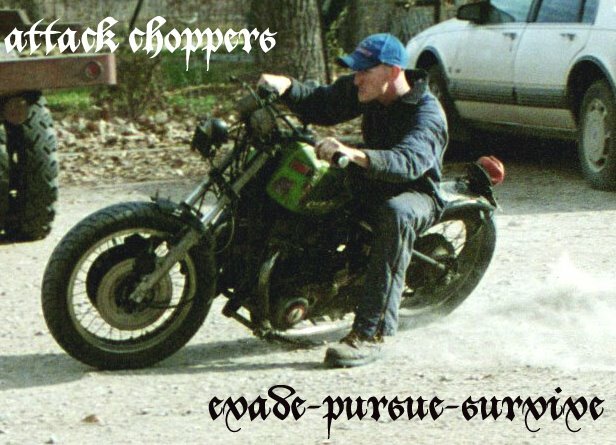 In short: Don’t spend all your time looking at choppers for new ideas for your chopper projects. Pull inspiration from everything you can find. Observe. Learn. Anything strong, light, fast, homebuilt, clever, or performing well… use it. Store that up in your head and turn it over and over. Think about the philosophy behind every machine that you see. Think about what goals the builders had to meet. Think about the physics behind each item. Think about the problems they overcame to build it. Think about how you would have made it better if you built it, think about how a F1 car builder, or an aerospace engineer would have built it… and then learn to hone these skills and focus them towards Attack Choppers. Go to a military aircraft museum, or a race car museum. Go to the stock car races, go to the moto cross races, go the trials events, go to the drag strip, hang out with farmers building and fixing their own machinery, go to tractor shops, hit the demo derbys, go see hillclimbing, rally cross, ice racing, flat tracking, speedway, hare scrambles, Supermoto, road racing, meet the local well drillers… anything. 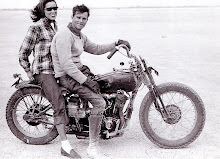 Look at every type of motorcycle, car, tractor, machine, building, gun, knife, Jeep, any highly modified vehicle, cafe racers, streetfighters, race bikes, flattrackers, speedway bikes, musclebikes, ratbikes, ratfighters, survival bikes, rockcrawlers, rock racers, trail rigs, any vehicle competing in the Baja 1000, 500 or Daakkar, rallycars, hillclimber cars, drift cars, tuners, expedition vehicles, Pikes peak racers, tanks, military vehicles, odd/interesting engines ,WW1/WWII planes and their motors, military aircraft in general, exotic cars, Bulldozers, adventure touring bikes, sport touring bikes , and dual sports. Always be observing, always be learning, always be analyzing, always be thinking. Never be stagnant, never be content, never stay still, never stop thinking, never think you have arrived, or that you are done. Refine, hone, sharpen, focus, innovate, adapt, overcome … evade, pursue, survive. If you DON’T learn to branch out and learn to pull inspiration from other places you may end up to be like the dude I meet at every bike event I go to. 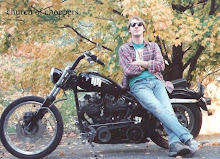 You know the guy… the one that says the only bike worth owning is a generator case Shovelhead with a 10 over Wide glide, forwards controls, fatbobs, a chromed horseshoe oil tank, apehangers and drum brakes front and rear. And the only music he listens to is The Rolling stones.